The Anthropology Program at the CUNY Graduate Center draws its faculty from across the CUNY system. There are currently over 50 active, fulltime faculty members representing 10 different CUNY campuses, supported by a rich collection of emeritus professors, many of whom continue to participate substantively in student training, and a broad set of adjunct/affiliated faculty from a variety of prestigious institutions. 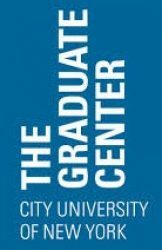 The fulltime doctoral faculty includes members who teach only at the Graduate Center as well as others who teach at both the Graduate Center and another CUNY campus. For some of the latter the links below may take you to faculty pages on another CUNY website. Additional anthropologists in the CUNY system also participate in the doctoral program in diverse ways. For a fuller profile of faculty resources in the CUNY system, see the websites of CUNY anthropology departments. For new and recent tenure-track Assistant and Associate Professors hired at other CUNY colleges see New Faculty Appointments.